In 1940, with the Depression still a vivid memory, George Renfro took a big risk for a man with a family. He quit his job selling restaurant supplies and condiments. And with little more than sheer determination and the support of his family, George and his wife, Arthurine, co-founded George Renfro Food Company in the garage of their north Fort Worth home. In their new venture, they distributed packaged spices and pepper sauces throughout Fort Worth and the surrounding areas. 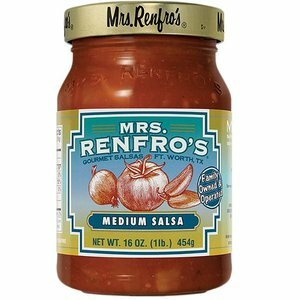 In 1972, shortly after incorporating under its current name, Renfro Foods, Inc., the family purchased the recipes of Olé Foods, a Mexican-style hot sauce maker. 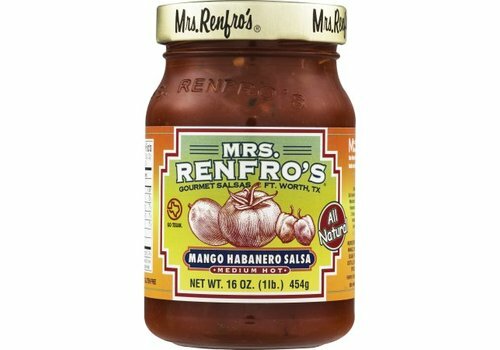 The Renfros anticipated that customers' tastes were changing, and they quickly made plans to ride the wave of interest in Mexican foods. 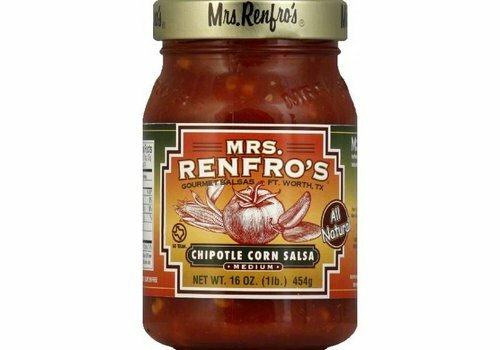 Reworking the basic taco sauce ingredients of Olé Foods, the Renfros created a richer and tastier salsa recipe. 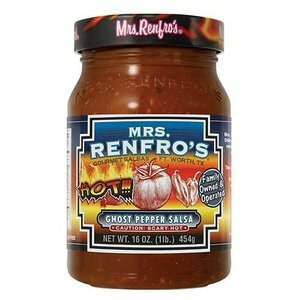 Mrs. Renfro's salsas gained popularity fast, earning a reputation for quality flavor at a reasonable price. This quick surge in demand lead to a major facilities expansion that more than doubled the company's production operations. 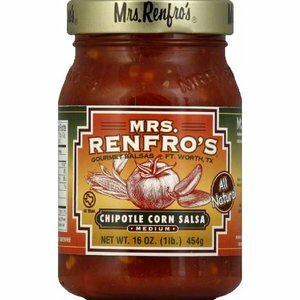 Mrs. Renfro's gourmet product line became a favorite for salsa lovers and connoisseurs. 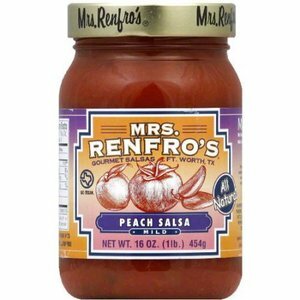 Forced to keep up with increased demand, Renfro Foods expanded its manufacturing plant again in 1997, also adding Peach, Chipotle Corn and Roasted salsas to its list of intriguing salsa palates. 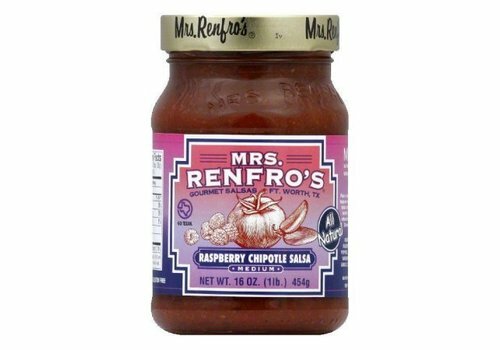 In 2000, Mrs. Renfro's products got a fresh, new contemporary look with a label and jar re-design to strengthen shelf presence. 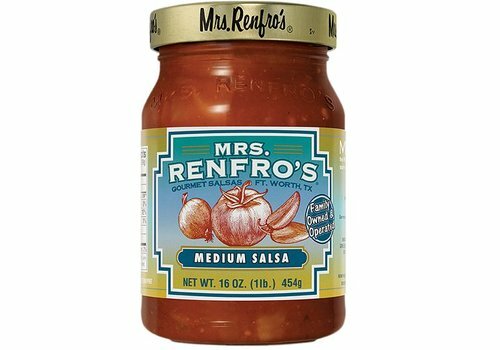 The following year, Renfro Foods introduced its 25th product - Garlic Salsa - and began labeling in French and Spanish to increase its global presence with product distribution in new international markets. 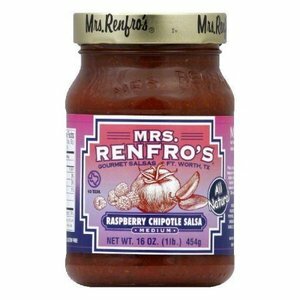 Raspberry Chipotle Salsa was introduced in 2003. Raspberry mild chipotle salsa with the taste and quality of Texas flavor and hospitality. 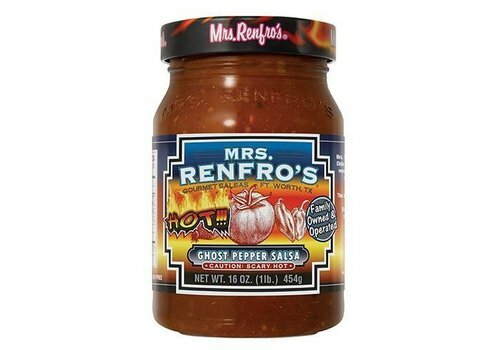 Mrs. Renfro's medium salsa adds a kick to everyday appetizers, tacos, salads, and snacks. The Renfro's family name is synonymous with Texas flavor, quality and hospitality. 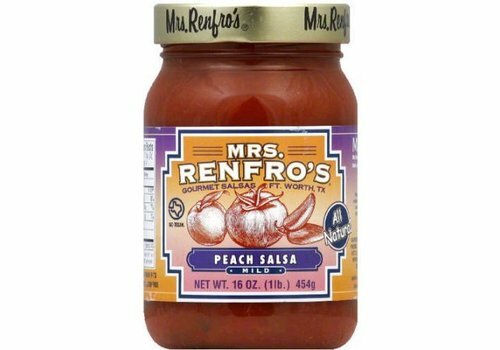 Mild peach salsa with the taste and quality of Texas flavor and hospitality. 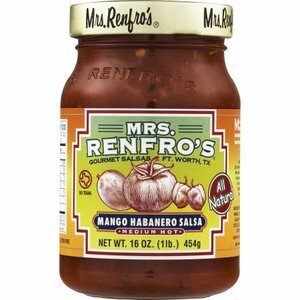 Medium Hot mango Habanero Salsa with the taste and quality of texas flavor and hospitality. Medium chipotle corn salsa with the taste and quality of texas flavor and hospitality.